“The Rule of 72” is the most powerful rule for “Quick Calculations on Investment and Inflation” in your mind. Personal Finance space is quite confusing for the common man. This is the main reason why mis-selling is rampant in the personal finance space. Besides, mis-selling there is a widespread misinformation to score brownie points for personal gains. Most recent example is on “Returns from Sukanya Samriddhi Account“. Some financial planners are misleading the common man by throwing some arbitrary no’s on returns from Sukanya Samriddhi Account. These calculations are based on certain assumptions which are not informed by the financial planners. My basic question is “If the interest rate is not fixed in Sukanya Samriddhi Account” then how can we say that investment of Rs X per month will become Rs Y in 15 years. Interest Rate in Sukanya Samriddhi Account is variable and will be declared every year. Interest Rate for FY 2014-15 was 9.1% and Interest Rate Declared for FY 2015-16 is 9.2%. Though i understand that in India, a person ask a simple question “How long will it take to Double my Money?”. The Rule of 72 will come to rescue. As i mentioned in my post on Kisan Vikas Patra that USP of Kisan Vikas Patra was “Double your Money in 5 and a half year”. In current avatar, you can double your money in 8 year and 4 months. The basic formula remains the same, only interpretation of the result will change. In short, it helps to answer some of the basic questions. (a) How long will it take to Double the Money? One of the most frequently asked question especially by the small time investors. These investors are risk averse and are looking for assured returns. In this case, the investor is aware of Rate of Interest. Therefore in order to calculate no of years to double the money, simply Divide 72 by Rate of Interest. For example, if you invest in a financial product with an assured return of 9%. Your money will double in 8 years i.e. 72 divided by 9. We have a fascination to double the money. If i am investing 5 Lakh then the first question which run through my mind is when it will double. By the way, the average return of long term debt funds is 10% therefore you can expect your money to double in 7.2 years without any risk :). By now you must be wondering that The Rule of 72 works only for doubling but it is not true. You need to create multiples of doubling or simple approximation to create multiples of doubling. For example, If you need Rs 16 lakh for your daughters marriage. You are planning to invest in a mix of Debt Funds with an assumption of an average return of 9%. The current investment amount is 2 Lakh. Now you would like to know, How long will it take to reach the objective of 16 lakh. Don’t worry, The Rule of 72 is there to help you. In this case, you need 3 Doubling’s i.e. from 2 lakh to 4 lakh, 4 lakh to 8 lakh and from 8 lakh to 16 lakh. Now for each doubling you need a time period of 8 years i.e. 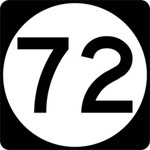 72 divided by 9 (Rate of Interest). For 3 Doubling’s, you need 24 years i.e. 8 years X 3. Therefore, if you invest 2 lakh then you will get 16 lakh after 24 years. (b) What is the Return Required to Double the Money? This rule is reverse of point (a). It is useful to take investment decisions when you have a time-bound goal. For example, if you need Rs 20 lakh for the admission of your kid after 5 years. You have 10 lakh to invest, in this case you need a return of 14.4% i.e. 72 divided by 5. It will also help to decide the risk factor for pre-determined return. Return of 14.4% can be generated by investing in Balanced Fund – Debt Oriented. You must have read numerous times that inflation is eating into your returns, inflation adjusted returns etc. The value of Rs 100 will be Rs 50 in X no of years and so on. Inflation devalues the purchasing power of a currency. Let’s see how the rule of 72 can help in inflation calculations. (a) In how many years, i will lose half of my capital? Inflation related calculations are not very common in India. This question actually helps in retirement planning. It will help you to top up the amount in retirement kitty from time to time. The rule of 72 can help in this calculation. Taking a cue from Govt’s inflation target of 2%-6%. Assuming inflation to be 6% average, 10 lakh in retirement kitty today will become 5 lakh in 12 years i.e. 72 divided by 6. Therefore utilize The rule of 72 for both investment and inflation in tandem with each other. (b) What is the rate of decay for the specific time period? This calculation is useful for financial products similar to an annuity. In this, you pay/invest lumpsum amount and receive steady cash flow. After the specific period, you receive maturity amount less than amount invested. In this kind of product, it is imp to find the Rate of decay of capital. On paper, these schemes might sound wonderful but rate of decay help to take final decision in this regard, For example, you invested Rs 20 lakh for 10 years and will receive 10 lakh at maturity along with X amount per month. In this case rate of decay is 7.2% on an annual basis i.e. 72 divided by 10. Depending on X and rate of decay, you can decide whether to invest or not. To Summarize, The rule of 72 can be used effectively to avoid being cheated. It is important to know whether return if fixed or variable. In stable and safe instruments like Debt funds, we can assume average returns but it is not possible in equity. In equity, timing is critical, therefore average returns are just a number on paper. Word of Caution: The rule of 72 is only an approximation tool. It is not 100% accurate as the returns depend on various other factors also. The rule of 72 should be used only as a thumb rule or for quick calculations. It is always advisable to arrive at the final figure through scientific calculations.